Outlook: Two of the classification's best in Seven Hicks and DaeLin Switzer. Switzer, who had a day filled with events on the track and in the field, did not show any signs of fatigue until after it was all over. She had given Hicks her best effort and perhaps somewhere along the way supplanted that 2019 might be different. Hicks, on the other hand, is a confident young lady who actually continued on after the state meet. 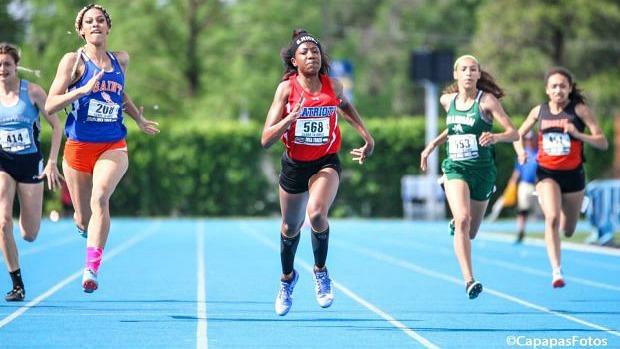 For sprinters, the summer track circuit is where they usually jell at another notch. Hicks advanced to AAU nationals and ran a personal best 25.02. The best is yet to come for the youngster who has two more seasons in high school. Other event high placers Tori Thomas (2nd-PV) and Kamryn Kolb (1st-4x1 anchor) will give tremendous depth and skill to an event that's already established.